Gift certificates are available for all products and services. 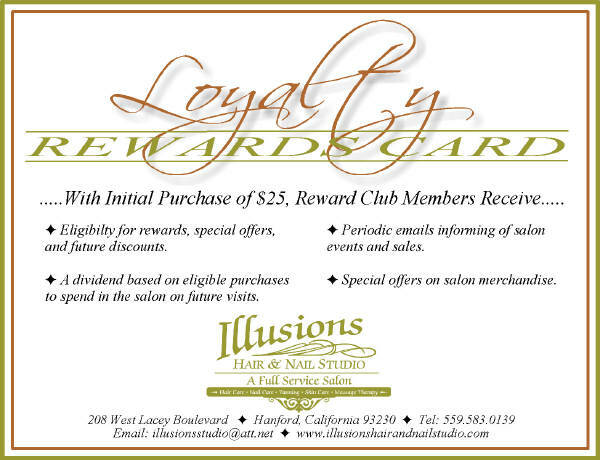 Become a member of our Rewards Club and receive the following great deals! For more information call your stylist, manicurist or esthetician today! Copyright © 2013 Illusions Hail and Nair Studio. All rights reserved.